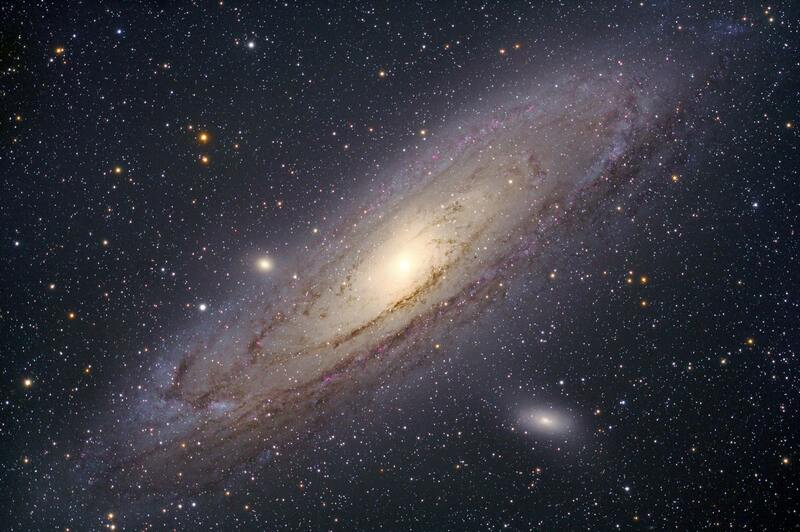 Object Name: M31 Andromeda Galaxy, Date: Sep 10 2010, Imaged at "Tomahawk Lake" in Atlanta Michigan. Shot Parameters: 60x5min @ISO 1600 with Canon 350D (mod), Scope: TeleVue NP-101, Mount: Losmandy G11, Guiding: Orion Star Shoot and ST 80 Guidescope. Processing: Darks, Flats, Lights combined in AstroArt 3.0, Post-prossessing PhotoShop CS.